One of the biggest trends in dentistry today is the logjam that’s been created from many baby boomers still practicing dentistry. The number of dentists per 100,000 people grew from 59.8 in 2008 to 62.0 in 2011*. The trickledown effect that this glut of practices needing to be transitioned is creating is changing the face of dental market today. Unknown to most, the issues from too many dentists holding onto their practice is only worsening the dental market in general by allowing for opportunities of corporate dental companies to take a larger hold of the market by acquiring practices on the cheap that couldn’t be transitioned otherwise due to lack of in strategy and/or buyers. Further compounding this issue, many anxious new dentists coming out of school cannot locate a suitable, appropriately priced practice so they seek the structure and safety of the corporate practices, even though their long-term goal is to eventually own their own practice. As a result, this growing hold of the corporate movement in dentistry is pressuring the solo practitioner into taking more insurances, but that’s another article for another time. So how can you prevent this trend from continuing to happen and reverse them altogether? The short answer is better transition planning, but let me expound on this idea more to help add clarity to this issue. Each dental transition should be as unique as your practice is—there is no one single way that is best for a dental transition. Anyone that tells you otherwise is dead wrong. It is not a square peg, round hole situation, but there is a great deal of planning that is needed in order for it to be done correctly. Here are 5 things you need to look at in your practice prior to your implementing your custom transition process. Timeframe—this seemingly simple idea can dramatically sway, if not even dictate, the type of transition you can implement in your practice. According to a 2010 survey done by the ADA, dentists under 40 plan to retire at age 61, however when dentists over age 40 were asked the same question, the average drifted up to 67**. That example is a microcosm of what we see on a daily basis of our firm. Once dentists really start thinking about what it actually takes to retire and what must happen before getting to the point of a transition, they realize a great deal of planning needs to go into a proper transition strategy and some smaller practitioners just give up altogether and close the doors. We like to tell everyone to do it the right way, you will need to start laying out the plan 10 years in advance. If you’re inside your 10-year window, your options are becoming limited with each passing day. Ideal type and logistics of your transition—a statistic I’ve seen in numerous venues over the years is that 75% of associates do not turn into partners and whenever I speak and mention that statistic, the crowd typically says it should be higher. Regardless, we think that is a real travesty and that things could be much improved with better planning. Be sure to ask yourself: “what type of transition to I envision for myself?” Basically there are 3 types of transitions: #1—A tiered transition—this is where portions of the practice are sold over a period of time (i.e. 50% now and the second 50% in 4-8 years, etc). #2—A “walkaway sell”—this is when the heir apparent is brought in, the transition done, and the host dentist leaves all occurring within a 12 month period typically. 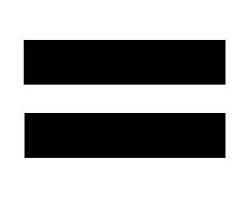 #3—A combination transition—this is basically a combination of the previous two options. Monetarily, the tiered option mentioned above will net you the most for your retirement, but most cannot afford this type of transition, wait too long to plan for it, or simply do not have the personality for it, but if this is done correctly, the goodwill of your sticking around will pay dividends for the transition value. Whichever type of transition you plan, you’ll want to consider what both you and the associate are looking for. The associate needs some guarantees on the front end (i.e. salary, contract, a strategy up-front for the transition, etc)—handshake deals are not okay when dealing with transitions, so that cannot be part of your plan. There needs to be specifics and it needs to be written down. Once the associate needs are covered, you need to make sure your concerns are dealt with appropriately (i.e. price, when you stop working, making sure your patients are taken care of, etc). Make sure you mention your ideal way to unwind from the practice—are you a “cold turkey” or a “phasing-out” kind of person? Whichever it is, I will give you this one bit of advice: make sure you have a plan on what you want to do once you are retired. Whether that is philanthropy, family, hobbies, etc, one of the worst mistakes I’ve seen in my 12 years of experience is a dentist retiring without having a plan to fill their time. Also, while you’re thinking about this question, you’ll want to have a pre-determined plan on the real estate if you own your practice location…that has to be part of the deal and considered as part of your transition plan. Business model—once you have a timeframe and a general idea of the logistics and type of transition plan you want to implement, you’ll need to make sure your business model can accommodate your ideal scenario. One of the first items to consider with your practice is your production level. If you produce $600k, your practice is too small and you can’t afford an associate for a transition. There is not any one dollar amount that translates into bringing in an associate, but it is an amalgamation of multiple different factors: production, overhead, schedule, etc. Another consideration is the location size as well. Typically for an appropriately producing practice, having at least 6 total operatories is ideal—this would allow both dentists to work out of 2 chairs each plus have hygiene running at least 2 chairs. Well before the business model portion of the evaluation process and ideally during the Timeline section above, you’ll want to objectively identify if your practice is “transition ready” or if you need to prepare the practice to be able to sell it. No different than when you are having a baby and preparing the nursery, you need to make sure that your practice is ready to accommodate an associate. If you don’t have digital, get it—it’s not cheap, but many associates will look right past your opportunity if you don’t have it. Having a practice that is ready to walk into from an associate’s standpoint will allow you to command a higher price for your practice because it is more transition-ready. This is exceedingly important for dentists in rural locations as most younger dentists are looking to stay in suburbia as opposed to a more rural location. It also signals to the associate that you are dead serious about your transition and want to make sure they are comfortable when they come in. There is a happy medium to this however because it is not necessary to have all new equipment in your practice. Generally speaking, in your 50s you should only be adding equipment that is necessary to transition and/or are critical to your daily production levels. Overhead—this is one of the most misunderstood and often overlooked portions of a transition based on my experience. Though this really goes under the Business Model section above, it merits its own discussion. The overhead value will make or break your transition plans because overhead is inversely related to your cashflow and cashflow is the #1 determining factor in a formal appraisal of a dental practice value. The lower your overhead, the higher the income you make from the practice—and the more you make, the more your practice will be worth. From a planning standpoint, the lower your overhead is, the easier it will be able bring in an associate at an appropriate salary without cannabalizing your income while also lowering your relative risk to bring them into your practice. As a host dentist, you have to offer some sort of a base salary to compete for the top talent available because your competition is and those associates need some sort of guaranteed income to deal with their six figure student loan debt. To help offset the cost of bringing in an associate to be a partner, look at expanding your schedule and spreading your costs over a 5-day workweek. To have 2 dentists in a practice and not be open 5 days is not an efficient use of your business model. To compensate for this, stagger your schedule so you work one day by yourself, they work at least a day or two alone, and have the other days be the ones where you work together. Personal monetary stability—if you covered the first four items above, you’ll already be way ahead of the curve when it comes to your transition, but all of this is for naught if you can’t afford to retire, so considering your personal retirement situation is a huge factor in this as well. A statistic was real was released by the ADA a few years back stating that 96% of dentists under save for retirement to support their current lifestyle. It doesn’t have to be that way because you still have control over that as you plan for your retirement. If you think you’ll be hitting the lottery with your transition, I’m sorry to inform you that you will not. An appropriately-priced practice typically sells for 60-70% of the previous year’s revenues, so unless you live in geographically desirable area like Hilton Head, you won’t get much above that without gouging the associate. Also remember too that the price you sell for (as well as how it is allocated for tax purposes) will dictate how the transition is taxed. At a minimum, you’ll be looking at 15% and as high as 45% all in to be paid to Uncle Sam so pay close attention to ideally structuring the deal as an stock sell if you are selling or an asset sell if you are buying. Most importantly, don’t sweat the small stuff if the cashflow works for both sides and you really like the transition plan in place. After all, cashflow does trump everything and unfortunately, I’ve seen too many transitions blow up on something as meaningless as a percent of classification applied to goodwill. They say that negotiation brings out the worst in people, but if you haven’t saved enough to retire comfortably, it will be even worse and the new owner will absolutely pick up on it which can jeopardize the deal altogether. Treat the transition as icing on the cake to supplement what you have already saved and make sure you start saving way more now so you don’t have to hold out of top dollar and ultimately have the practice decline in the process. If you’re not on pace to hit your retirement now, you need to start looking in that mirror and start figuring it out with your team of advisors. Though it is loosening up now, this is what has happened over the last 7 years as 2008’s performance in the market led to most portfolios to be cut in half. Focus on saving more and taking less risk in the market so you don’t repeat these mistakes. If you can implement these 5 ideas in your practice transition planning it should be able to put you well ahead of the game and allow you to transition on your terms. Keep in mind, this is a transition not a transaction and you’ve worked too hard to create your livelihood to haphazardly hurry into a poorly designed transition. *M. Vujiic and B. Munson. Despite Economic Recovery, Dentist Earnings Remain Flat. American Dental Association Health Policy Institute, Research Brief. October 2013. **2010 Survey on Retirement and Investment. American Dental Association. www.ada.org. August 2010. Brogan Baxter is the Chief Operating Officer and senior analyst at Four Quadrants Advisory Companies, a national accounting, financial planning, and advisory firm with only dentists as clients. They are the only dental advisory firm in the nation with a money back guarantee on their services. To learn more or put your current team to the test, contact Brian Wilson at 877.720.6213 or bwilson@4quadrant.com. The decision to begin the process of transitioning your practice into the hands of your successor is a tough one, of course. It’s been the center of your life for years, and even if you’re totally ready to ride off into the sunset of retirement, it can be tough. If you don’t have your financials in order before you start the process, it can be torture. That includes your taxes. The way your practice is structured as a business will have a major impact on your tax obligations after selling. There’s a significant difference between what you’ll owe after selling a C-corporation and what you’d own from selling a sole proprietorship, for example. And that all needs to be taken into account before making the sale. There are two ways to sell your practice – by selling a partnership interest or stock, or by selling off the practice’s assets. Generally you as the seller will prefer the first option, as it carries with it a capital gain treatment of 15-20%. 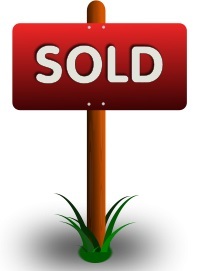 The buyer, on the other hand, will prefer a sale of assets, because then they will reap the benefits of depreciation. If it is not pre-determined by the transition structure in place, you can negotiate with your buyer, and find a level of price and sale type that suits you both the best. You’ll also need to negotiate the method of financing your buyer will use. In the event that they cannot or prefer not to go through a bank, it’s possible they could pay through seller financing – that is, essentially you would hold a note on the purchase price as negotiated, loan the money to the buyer, and they would pay you back over time. You get the benefit of keeping the bank out as a middleman, and won’t have to recognize the gain from the sale all at once. The flip side to this option, however, is that you lose the time value of money of getting that money to work for you in the market. There are times when seller-financing is ideal, but for the most part, it is not the first choice by anyone because it muddies the relationship between partners. But when negotiating price, remember this – you won’t be keeping all of the money paid, no matter what. Even if the bank’s not involved, it’s income and you will be taxed for it. So don’t start eyeing that yacht or Lamborghini until the whole procedure is complete – including your tax liability. What Happens to Your Practice When You Sell? If you do everything right, what happens to your practice immediately after you sell it and retire is up to you, for the most part. You can have a custom transition process, and ensure that everything is executed to your liking. That allows you to find the partner who’s best suited to carry on your legacy, and to protect the parts of your practice that you most value. The problem is that not every practice can handle the requirements of a custom transition. Do you have enough production, a large enough facility, and low enough overhead to be able to take on an associate? If not you may be forced into a walk-away sell – zero to six months of preparation, then you hand over the keys and leave. That probably doesn’t sound like what you want, so your priority should be to get your finances in order so that you can transition properly. You’re preparing the nursery for the baby, so to speak. If you have done that, what’s your ideal transition look like to you? What’s most important to you, what do you want to dictate? Don’t try to ask for too much – there will be a lot less interest in joining up with you if you’re perceived as a meddler. Nobody wants to run a practice if they won’t actually be running it. But there are things that you can do to give you peace of mind. Be up front with your successor, both with your philosophy as a dentist and with what things are important to you. You need to find the perfect successor to your practice, not just the first person who’s willing to come in that’s willing to give you a check. Finally you need to evaluate the way in which you want to unwind yourself from the practice. Are you going to quit cold turkey? Are you going to phase yourself out, and gradually sell the practice to your new associate? If you’re asking my advice, what’s best for all involved is for you to leave gradually, based on my experiences over the last decade. You get to keep working until you feel totally ready to leave. Your patients get to meet your new partner, and see you work together as a team. And your associate gets the increased goodwill that creates, and will end up keeping more of your current patients – earning you more value for your practice. In the end, a custom transition isn’t just best for you. It’s best for everyone. Remember, it’s a transition, not a transaction. Last time we discussed the best ways to build a framework that allows you to invest in ways that will help you build wealth from your dental practice. But once you’ve done that, what should you actually do with the money that you invest? The short answer is, “invest conservatively.” Chasing big returns can be a hard temptation to resist, though. There’s a direct correlation between increased risk and increased potential rate of return, and many dentists feel the pressure to make large sums quickly to try to build a floundering retirement plan. According to the ADA, the average dentist only saves about 10% of their income – around $21,000 – and at that rate, they won’t be able to hit their retirement goals. To try to make up for it, they get forced into investing aggressively to get the big returns, and many get bitten by risky investments that eventually turn south. Anyone remember 2008? At Four Quadrants Advisory, we recommend a more conservative investment strategy that concentrates on savings first. You don’t need to chase that high rate of return when your practice finances are structured so that you can save $100,000 a year rather than $20,000. To get that kind of money from investing alone, you need a 500% rate of return. 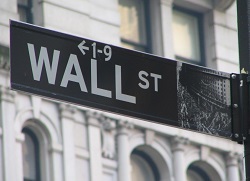 Focus on what you can control – your savings, not stocks – and avoid extreme risk. 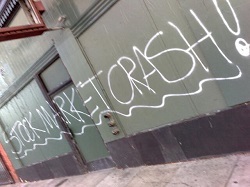 In 2008’s financial crisis, those who were heavily invested in risky stocks lost between 30 and 40% of their value. Those who were more conservative in their investments lost much less. Finally, as a dentist you really shouldn’t be investing your own money. You are trying to run a million-dollar dental practice, you’re seeing patients, you’re running a staff, you’re raising a family. You don’t have the time to give your accounts the attention they need to grow the way you need them to. Get a team of qualified advisors to help you, and your money will be in much better hands. Fee-only vs. Commission Investing: Which is Best? If you’re looking on advice for investing, and all you want is a few hot stock tips, you’ve come to the wrong place. What we will talk about is how to build a comprehensive investment plan that will build wealth in your dental practice and home accounts. There are two main things you need to keep in mind when building the framework of that plan. The first is that you must do your best to invest in a fee-only environment, as opposed to one where your broker or manager is being paid on commission. The vast majority of people – up to 95% – use commissioned advisors. What’s the difference? Look at the kinds of investments each type of advisor makes. A commissioned advisor will have you invest more in mutual funds that have commissions or “loads” attached to them. Do you have investments in mutual funds that end the description of the fund with “Class A”, “Class B”, or “Class C”? If so, you are in a commissioned investment. All make your advisor a commission in different places – class A will have a 3-5.75% charge at the front end, class B will have the same charge at the back end, and class C has a back end charge that’s a bit smaller. In other words, if you invest $100, only $95 will actually go into the market if it’s an A share. The rest goes to your advisor and the company they work for. And these fees pile up. A fee-only advisor is much cheaper in the long run, and much of the time will also make you more money, since investment returns are eroded by these higher commissions. In a relationship like this the advisor is paid only on the value of your accounts rather than by the transaction, meaning that there’s a much closer correlation between the performance of your investments and the amount that you’re paying your advisor. That’s all important because of the second thing to keep in mind when building an investment strategy – minimizing cost is crucial. There are a lot of hidden costs associated with investing, especially for a commissioned advisor. Administration fees, management fees, 12b-1 fees, the commissions themselves – again, they all add up. Together, they could eat up 5-6% of your return. You have to look at the net returns to see if your investments are really earning you what you need them to earn. A difference in rate of return of only 3% can change your final values by up to 16% over ten years. In 20 years, the difference grows to 41%. By boosting your rate of return only slightly you can earn nearly twice as much over two decades. That’s a lot of money. Any book on investing will tell you that a fee-only advisor is the way to go as soon as possible. But most fee-only advisors will only work with accounts that are already over $500,000 or more. That’s why you need to get your practice and personal finances in order generally, so you can take advantage of this and other useful wealth-building strategies. It’s never truly too late to start saving for your retirement. Starting early is certainly better. 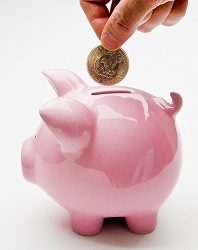 A person who saves $20,000 a year for 25 years will, at the end, have $1.46 million saved. But to get that same amount in only 15 years, you’ll have to save $54,000 a year. In ten years, it’s $101,000 a year. But if you’re already 50, 60, or even 70 years old it’s too late for that now. Now, it’s more about ambition. It’s about wanting to fight to better your situation, to be in a better place than where you are. If you don’t want to settle, you don’t have to. But the margin of error shrinks considerably. According to the ADA, only 4% of dentists will retire to a lifestyle similar to that which they had while working. Most dentists under 40 years old think they’ll retire at 61, but after 40 reality sets in and most say it won’t be until age 67. To get back ahead of the game, everything has to work harmoniously. You need a comprehensive approach that is focused only on building wealth. No new debt, unless it’s crucial to your practice’s operation. You can no longer overstaff just to keep things comfortable. Overhead has to be cut. An older dentist can’t just work more to make more – your practice has to get leaner and more efficient. You need to know your financial numbers, and know them fast so you can react quickly to any issue that comes up. 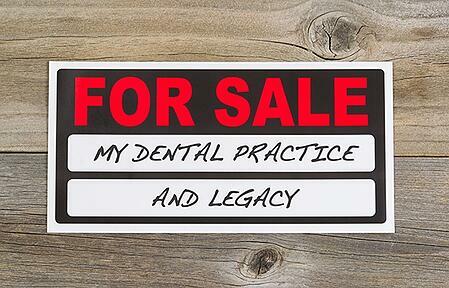 After your general finances are squared away, you’ll need to prepare to sell your practice. You’ll get 60-70% of your previous year’s revenue as a sale price, most likely. If you’re in a geographically desirable area you may get more than that. But remember that this should supplement what you’ve been saving already – less than a year’s revenue won’t get you very far on its own. But if you’ve taken these steps and built your practice into a lean wealth-building machine, you shouldn’t have any problems. Even if you start late, you’ll still be able to retire very comfortably. You run a successful practice and you're making a good income - but you know things can be better. You've tried practice management and marketing with short-lived results. You're not willing to settle with the status quo, but you don't quite know where to look or what to do about them. You see the signs of problems under the surface, but you're out of ideas for how to deal with them. 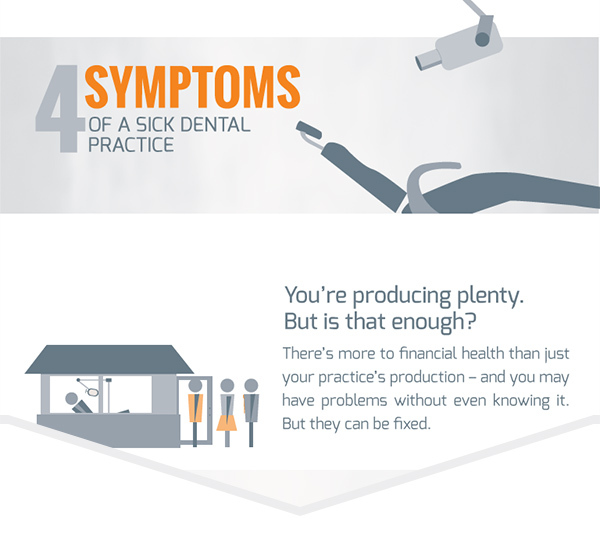 Check out our new infographic, 4 Symptoms of a Sick Dental Practice, by clicking on the preview image below. It's designed to show you a few things that could be amiss in your practice's finances and help you determine whether the worries you have are minor - or the start to something serious. 75% of new associates hired in dentistry never become a partner. There are a lot of reasons for that, but one of the primary ones is that many practices that hire fail to devise and implement a good transition strategy. Not enough preparation is done beforehand to make sure the hiring and the full transition process goes smoothly from the beginning. The first step is to research every angle of the process. Answer four main questions before hiring an associate. Can you afford it? How many practices do you know who hired an associate who was gone in less than a year? Don’t bring someone in hoping your finances will improve. If you don’t have the money or your overhead cannot currently support the hire, the time isn’t right. How will the associate buy in? There has to be a carrot to motivate the associate. Triggers should be in place that activate the associate’s transition to partner, like time put in, a production goal, or a combination of the two. What happens to pay after that? Once the associate has bought in, they will need a pay jump since they will have a new big loan from their recent buy-in. 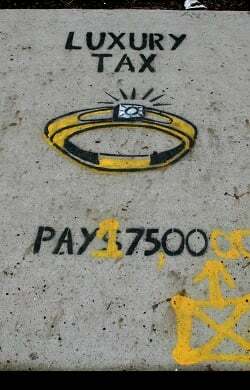 You need to know already how much of a jump that’s going to be, and what’s going to happen to your salary as well. How will your stake be treated? The endgame is for you to retire. Full control then will be turned over to your new partner. You need to decide ahead of time at what price you’ll sell your remaining stake in the practice to your partner. You should also clarify when that’s going to happen, and what will trigger that sale. It’s absolutely key to make sure the partnership is equitable. No 51-49% splits – the associate has to be treated as an executive from day one. With the massive debt today’s dental school graduates incur, you won’t be able to compete with corporate dentistry if you aren’t offering stable salary from the start so keep this in mind. They have to be treated as your equal as much as possible to make the transition smooth when you do eventually leave. If done right, all of this planning will help your staff, patients, and revenue make it through the transition from you to someone else pretty cleanly. But if not, you’re likely to end up looking for a new associate.